If your Chester, PA home or business hasn't been properly protected against an infestation, chances are you'll eventually have to deal with one. With that said, here are the most prevalent pests to watch for in this area. Ants are six-legged pests that live in complex social societies also known as colonies. Although the United States is home to more than 700 species of ants, there are six species that residents in Chester should be especially mindful of, including the Acrobat Ant, Carpenter Ant, Citronella Ant, Odorous House Ant, Pavement Ant and Pharaoh Ant. When rodents enter your home or business, they will invade your food storage areas, leave behind waste that contains parasites and spread disease. Some rodents will burrow in the ground, while others will climb in trees. The most common rodents you'll likely find entering your property in Chester include the Norway rat, roof rat, and house mouse. It's estimated that termites cause $30 billion in annual damage to man-made structures and crops in the United States. In addition, homeowners in Chester, PA who discover a termite infestation in their property will spend an average of $3,000 on repairs and extermination. That's why inspecting your home every year is so important. If you're searching for residential or commercial pest control services in Chester or the surrounding areas, contact DB Pest Solutions for a free quote at (888) 921-9780. 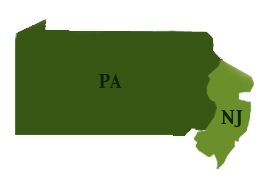 With nearly 40 years of experience exterminating many types of pest problems known to Pennsylvania, we're confident we'll restore your sense of comfort and safety soon. Want to schedule a service appointment or pay your bill? DP Pest Solutions is Fast, Reliable and Experienced!